Prepare Your Fall Equipment for Use: Gold Eagle Co. If your goal is to keep your yard looking its best year round, you probably own a few pieces of equipment that can help you with this task. Some are especially useful in the fall, when the temperature drops and every inch of your yard seems to be covered in leaves! If you want to continue to take good care of your yard this fall, you’ll need to keep a few pieces of equipment ready to go all season long. So here’s the type of equipment you’ll likely be using this fall and how to properly maintain it until it’s time to put it away for the winter. When you think of fall, you probably picture brown and yellow leaves all over the ground for months at a time. That’s just the reality of this season—unless you’re committed to constantly making those leaves disappear! And no, we’re not talking about using a rake to painstakingly scoop up all the leaves in your yard. If you’re serious about this job, you need a leaf blower. But as you start to use your leaf blower this fall, you’ll quickly find that it gets dirty and inefficient if you don’t properly maintain it. So every few uses, use a damp cloth to wipe it down, ensuring you wipe around the fan blades and carburetor in particular. Then make sure the air filter looks clean, with no debris in it. If the filter is filthy or loose, you may want to replace it with a new one. Then make sure your leaf blower’s hose isn’t loose or cracked before you store this equipment in a clean, dry place between uses. And of course, before you start using your leaf blower this fall, check your owner’s manual to see which type of fuel it needs. 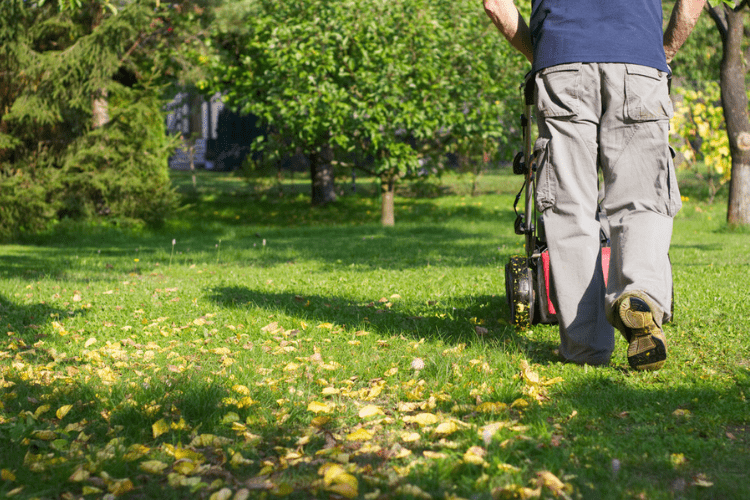 You’re going to need to keep mowing your lawn throughout the fall if you want your grass to look great. In fact, you’ll probably need to do this about once a week until you notice the growth slowing down as it gets colder outside. So make sure this yard equipment is ready for use this fall! You can start by putting the blade to the lowest setting so you get some close cuts this fall, before you put your lawnmower away for winter. Also, before you start using this piece of equipment for the fall, make sure you put the right oil and fuel in it, which your owner’s manual will guide you on. Once you have the right oil in it, be sure to change it at least once this season. 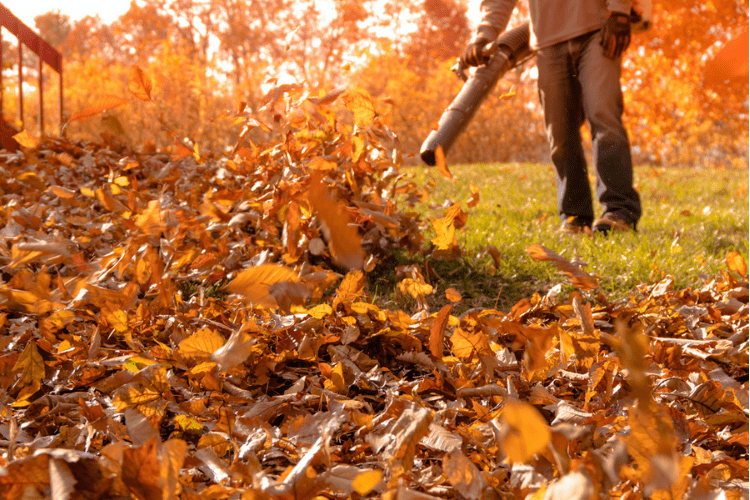 And just as with a leaf blower, you may need to clean or replace your lawnmower’s air filter once in a while, since you need it to stay free of debris to be as effective as possible this fall. Another piece of equipment you’ll likely be using this fall is your chainsaw. After all, you’re going to want to trim any tree branches that are too long or hang too low before winter arrives. And you’re going to need your chainsaw working correctly to help with this process this fall. Get started by making sure you’re using the right fuel for your chainsaw, and that all the moving parts in it are well oiled. You should also regularly remove debris from the chain, and then remove it and soak it in a mix of water and ammonia periodically if you notice it still looks dirty. Finally, consider adding STA-BIL Fuel Stabilizer to your chainsaw before you store it at the end of fall. Now that you know how to prepare your fall equipment for use as autumn begins, you can look ahead to the end of the season, when you’ll likely be putting it all away for winter! If you need help with that process, check out our guide on how to Prep Your Power Equipment for Winter.